Measles is a highly contagious viral disease that mostly affects children. It starts with fever, running nose, cough, red eyes, sore throat and rashes. Measles spreads through droplet infection i.e., when an infected person sneezes, coughs, the virus gets transmitted. There is no specific treatment for measles but there is a vaccine to protect from the disease, which is both safe as well as cost-effective. Measles vaccination resulted in a 79% drop in measles deaths that means it saved an estimated 17.1 million lives between 2000 and 2014 worldwide. WHO recommends immunization for all children with 2 doses of measles vaccine, either alone, or in a measles-rubella (MR) or measles-mumps-rubella (MMR) combination. The MMR Vaccine offers protection against 3 potentially fatal diseases – Measles, Mumps and Rubella. Dosage – Vaccine dosage varies for children and adults. In case of children, it comprises of 2 doses of vaccine – First dose: 12 to 15 months of age. Second dose: 4 to 6 years of age. In case of adults, the vaccine is needed if they are sure that they have never got vaccinated or they never had any of the 3 diseases. Adults also require 2 doses of vaccine. Risks of Vaccination – The side effects of the MMR Vaccine can vary from minor allergic reactions, fever, mild rashes, swelling at injection site, pain, etc. 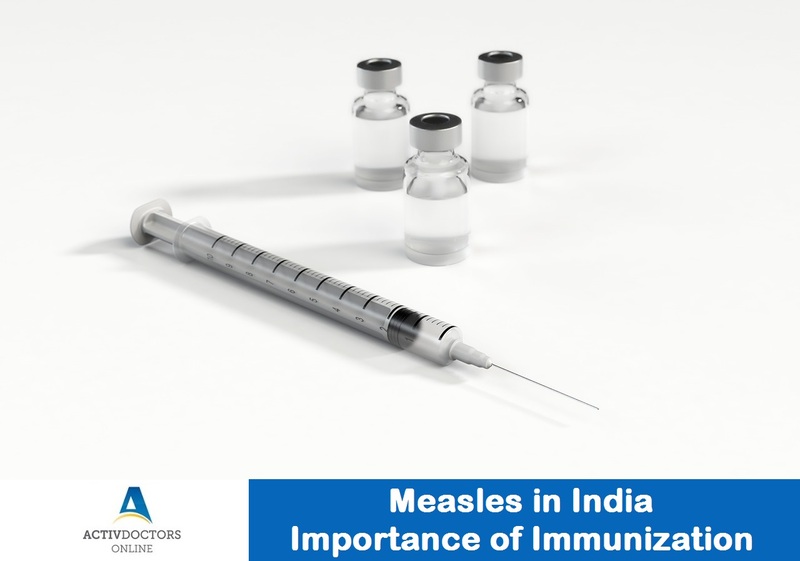 In India, measles vaccination is provided under the Universal Immunisation Programme at 9-12 months of age and 2nd dose at 16-24 months of age. Measles if not taken proper care is a life-threatening illness. Be more than well. Be well prepared.